Ash plantains are normally used in cooking in Sri Lanka. But the plantains normally sold in stores here in US (NJ) are different from what we get in Sri Lanka. These plantains are quite long and when peeled, orange in color. 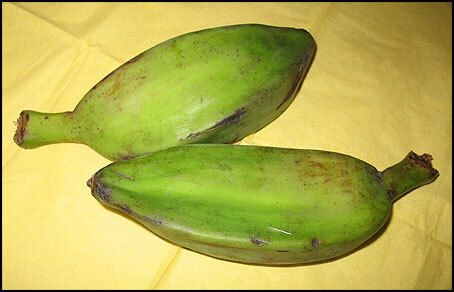 But I found some plantains very similar to the ash plantains in the Indian Stores. Ash plantains get this name because of its ash color powdery layer on its skin. When peeled they are white and softer than the orange plantains. 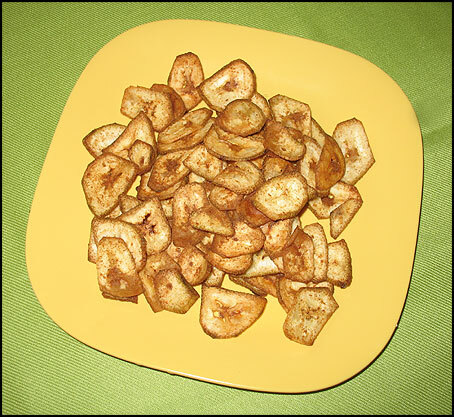 The perfect way to make plantain chips is to first peel wash them before cutting (do not wash after cutting since it will clump when fried). Make sure plantains are completely dry before cutting. 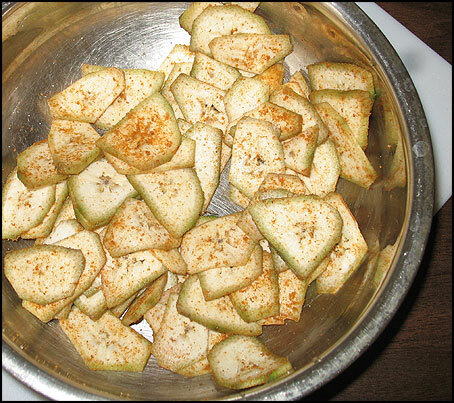 Also after mixing with salt and chili powder, cut plantains should be dropped in hot oil one at a time. Make sure you don’t put a handful of cut plantains in the oil together. Drop one at a time into the oil until the plantains cover half the oil in the saucepan. 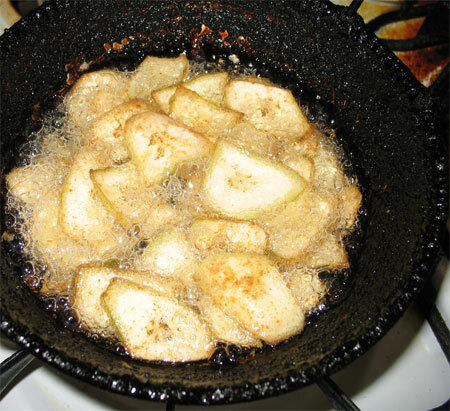 Once the oil is hot quickly deep fry until crisp.